It was a milestone edition of Benvenuto Brunello and also a gathering of symmetrical proportions. Looking back a half century, just after recognition of the D.O.C., it was in 1967 that the consortium was set up as an association of producers, “as a free association between winemakers bent on safeguarding their wine and on accentuating its qualities.” Twenty five years later the Benvenuto concept was conceived and now fifty years later this 2017 and 25th Benvenuto Brunello presented a preview of Annata 2015 Rosso di Montalcino, Annata 2012 Brunello di Montalcino, Riserva 2011, Moscadello and Sant’Antimo. 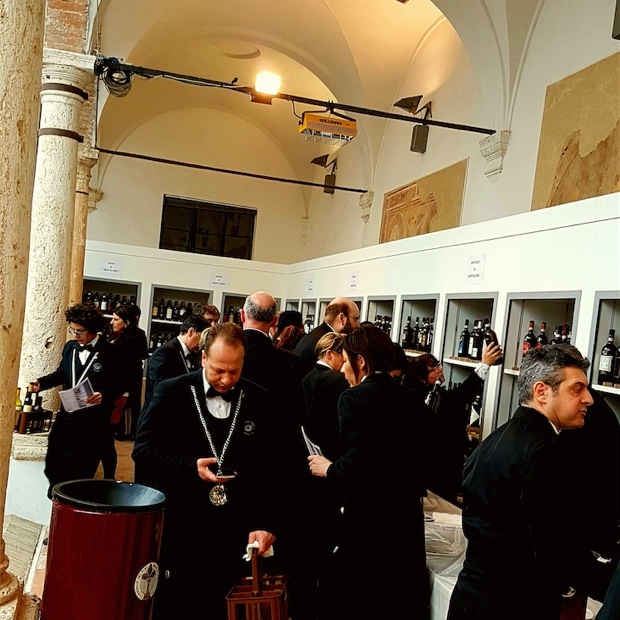 Every year in February the Consorzio del Vino Brunello di Montalcino organizes Benvenuto Brunello and by my count in 2017 there were 133 producers and 379 wines on hand to taste and evaluate, grouped together on February 17th and 18th in the Chiostro Museo Montalcino. 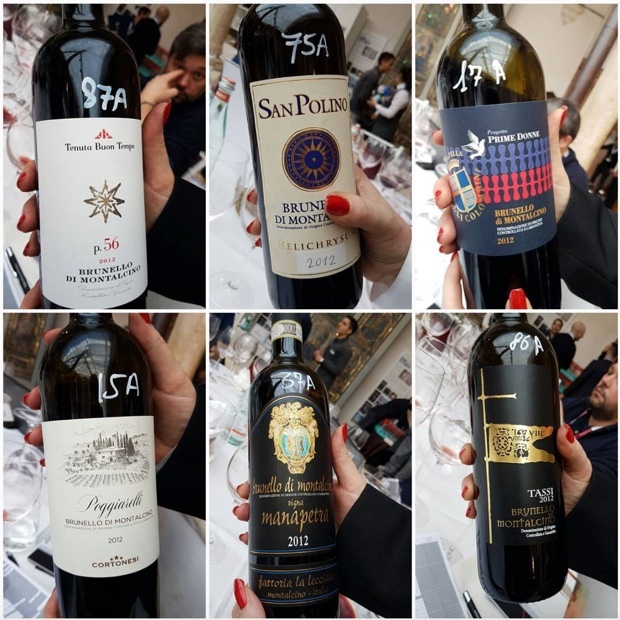 The vintages on hand offered up a study in contrasts beyond the obvious connotations served by the youth of Rosso Annata contrastive to aged Brunello. 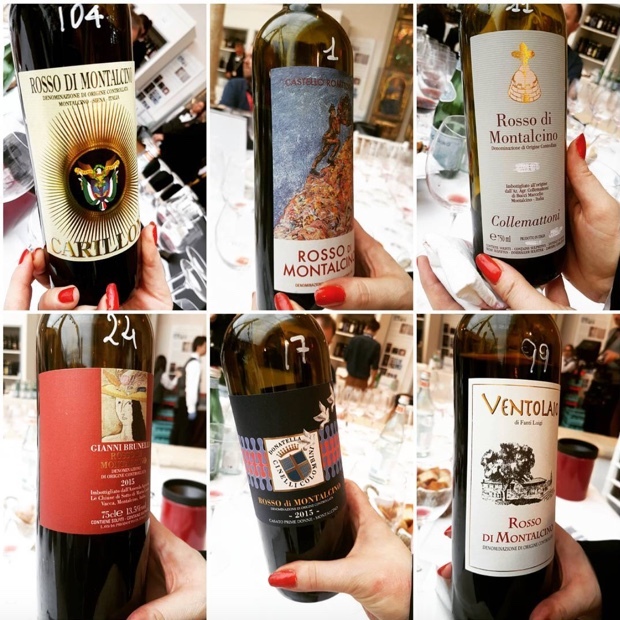 So many Mediterranean wine regions reaped huge benefits from the 2015 growing season but I’ve not personally seen such an across the board level of quality from a group of structured wines as I saw in the Rosso Annata. You would have to go back to 2010 to find a vintage with a near-chivalrous level of generosity and as far back as 2001 for its equal. 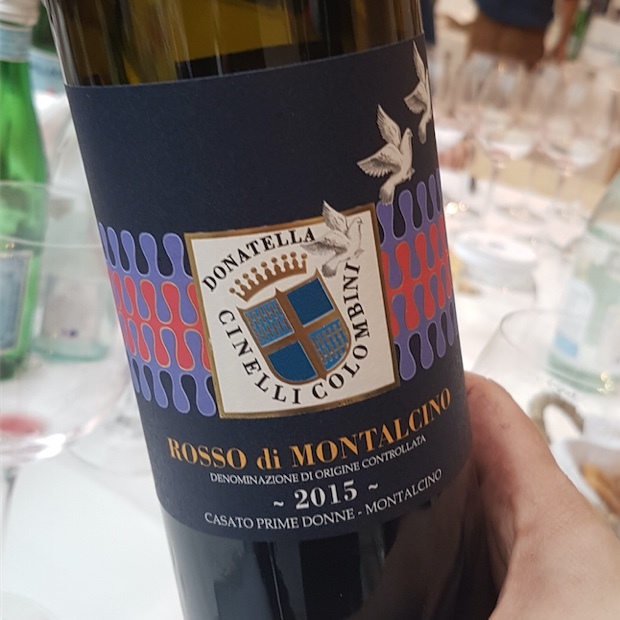 That said I would suggest with extreme prejudice that 2015 Rosso di Montalcino is the vintage to change your mind about its quality and its ability to stand alone. 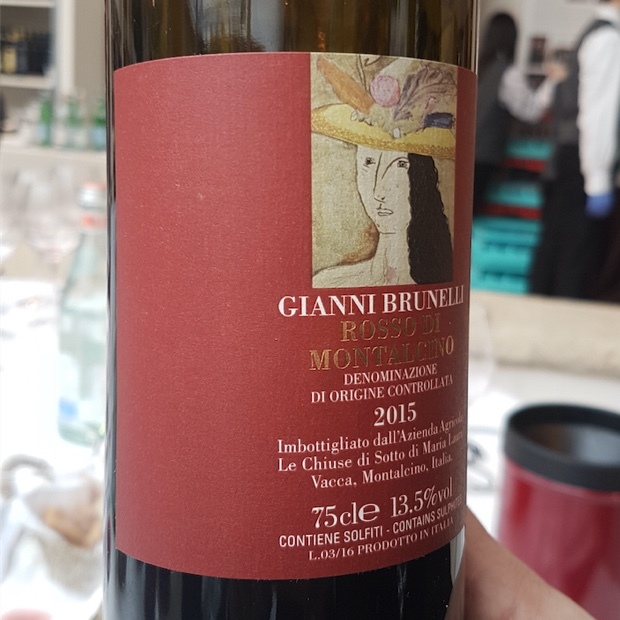 As an entity, the Rosso are produced from grapes farmed explicitly for a purpose and it is this ’15 vintage that can be used to back up that very proposition. 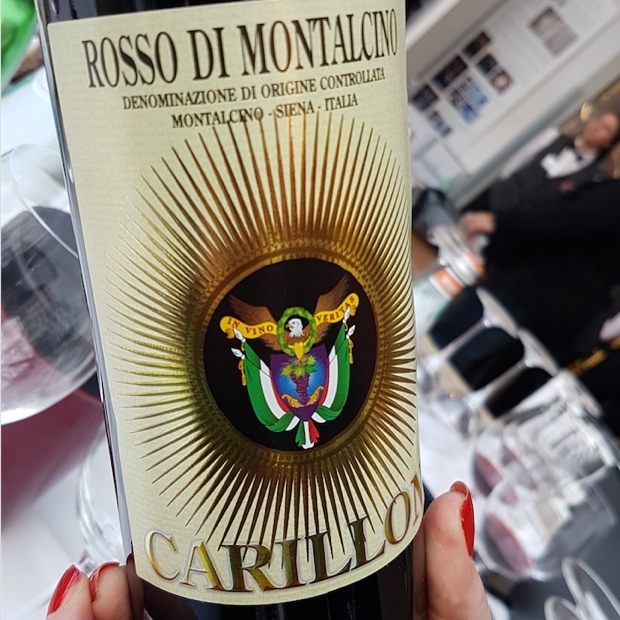 Rosso are fashioned to make a young sangiovese distinctive and antithetical to Brunello, but with the resolution to forge ahead with an intrinsic and personal level of structure. 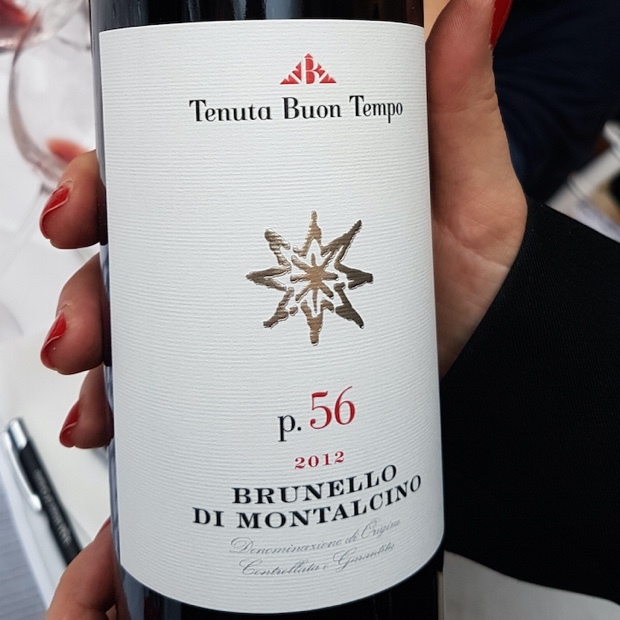 The Brunello vintage at the 2017 Anteprima is the one that growers, producers, marketers and critics will chime in with a wide variance of opinion. There are many ways to look at the 2012 growing season. 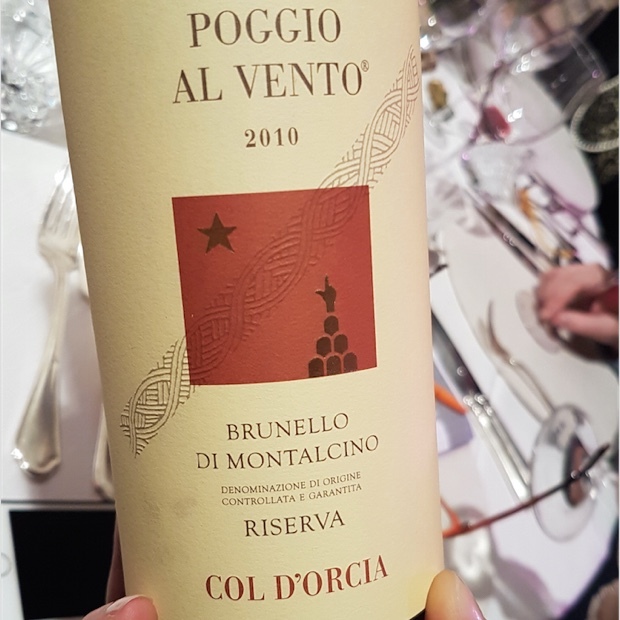 It is prescribed as a five-star vintage by the Consorzio, putting it on par with the best of the last 20 years, including 2010, 2007, 2006, 2004 and 1997. Critics remain skeptical and producers seem content to say “we’ll see,” knowing that structure is a guarantee but that fruit may peak early. There is little doubt that fruit quality is prodigious to say the least and that to a wine, these are fine and refined sangiovese. 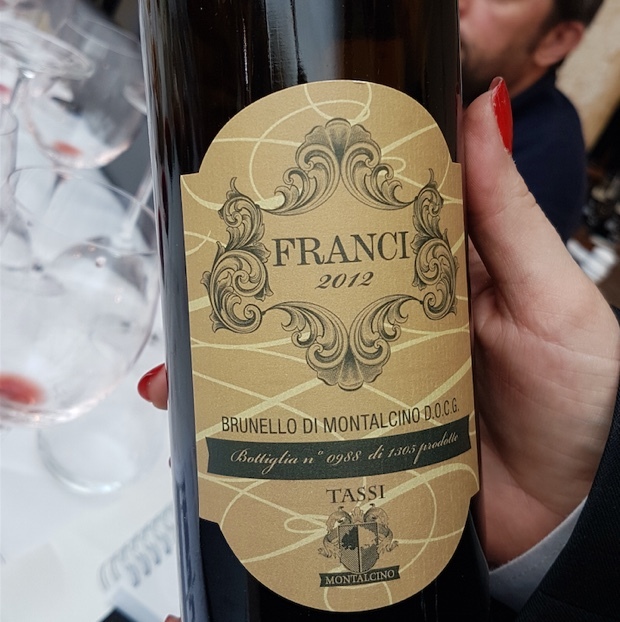 The producers who resisted temptation to make huge wines and the ones who took a step away from the machine will likely be the ones who found the best balance and in turn will have forged the longest aged Brunelli. I for one see 2012 as closer to 2008 and 1998, firm, a little misunderstood in the early days and capable of improving dramatically with five to seven years of age. The fruit just seems to speak this truth. 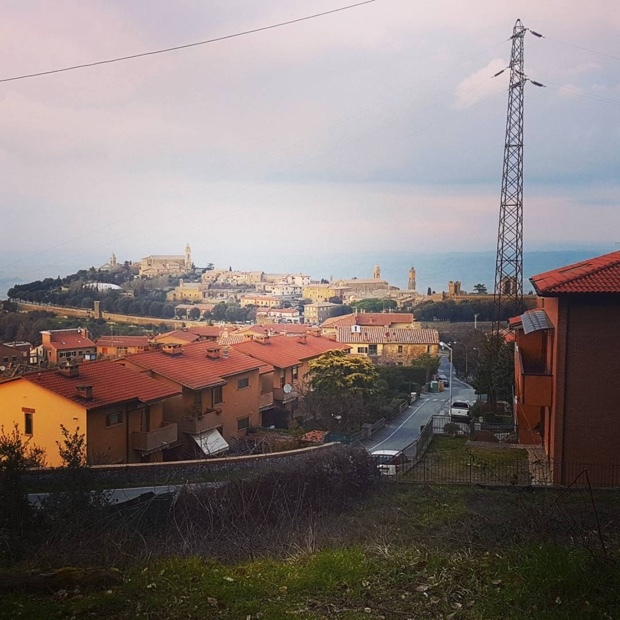 Montalcino is one of the most iconic Tuscan hilltop villages, a high density designed labyrinth of winding streets with the medieval La Fortezza di Montalcino at the peak and heart of the city. La Fortezza is a monument rich in history and a symbol of the last glorious defence of the Sienese Republic in 1555 against Spanish-Florentine troops. 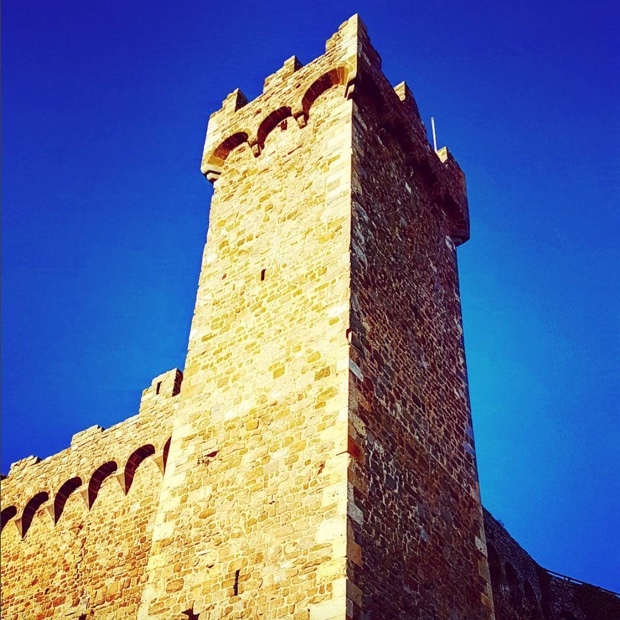 Begun in 1361 to improve the fortifications of the city, the fortress became a symbol of the then dominant Sienese power, however, counterbalanced by the opportunity that was offered to the residents of Montalcino to have Sienese citizenship while delocalised. It was precisely this fact that led to important political, economic and administrative relations between the inhabitants of the two cities. By the time the 16th century came to a close the fortress had lost its military significance. La Fortezza Wine Shop and Wine Bar founded in 1980 by Mario Pianigiani and Marzio Giannelli sits inside the main tower of the fortress. Montalcino rests at 564 meters above sea level between the valleys of three rivers; Ombre, Asso and Orcia. This island city has for centuries been cut off from major transit roads and subsequently avoided or missed out on the typical economic practices of the surrounding region. So it developed wine and olive oil as its primary industry. The world and Montalcino are all the richer for this fortuitous destiny. 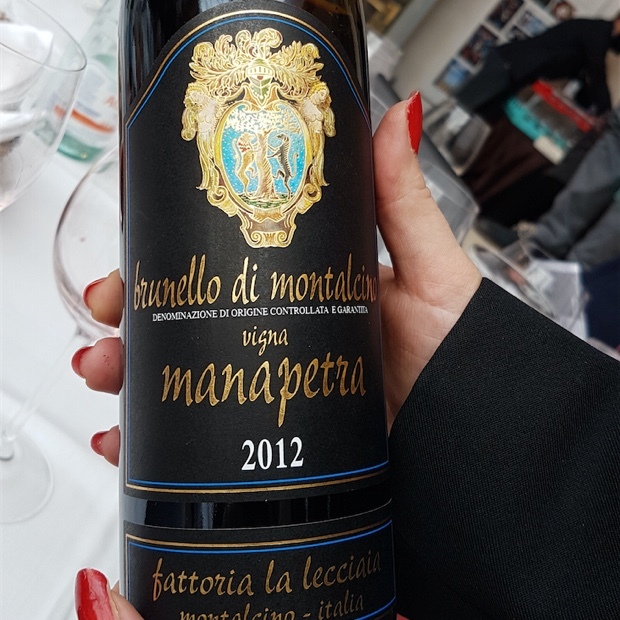 Brunello di Montalcino is referred to as “a very modern and ingenious intuition,” a phrase that so aptly depicts how it has separated itself from other sangiovese producing neighbours, namely Chianti Classico and Vino Nobile di Montepulciano. Only the Brunelli are possessive of a very certain and special sort of sangiovese aromatic liqueur, an amalgamation of deep, dark cherry, fresh leather, earth and flowers that differs from the others. 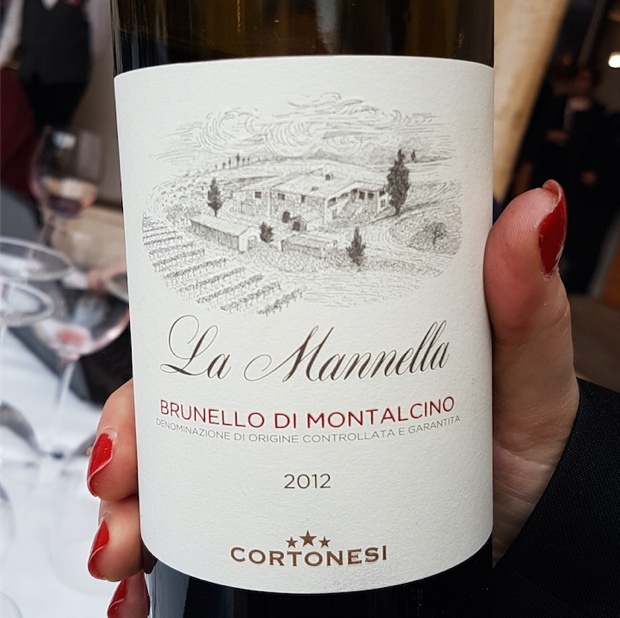 Brunello also carries its own unique type of acidity and a fineness of tannin that speaks to how the grapes develop on the slopes and in the valleys below. Only 15 per cent of a surface area totalling 24,000 hectares is planted to vines, just under 60 per cent to Brunello, approximately 15 to each Rosso and Sant’Antimo, 1.5 to Moscadello and 10 per cent to other grape varieties. The vineyards are set in a charmed square amphitheatre of geology, with the 1,740m high Mount Amiata to the south acting as protector and climate mitigator. Soils vary but at its most beautiful the decomposition of quatenary rock gives way to marl and albarese. The area is blessed with a Mediterranean climate, thankfully free of frost, great temperature fluctuations, the disease combative frequent presence of wind, mild and full days and in the end long, phenolic developing growing cycles. Brunello’s rules call for maximum yields of eight tons per hectare and an obligatory ageing period in wood of two years in oak casks. A further four months (six for Riserva) is required in bottle. Bottling must take place in the production area and the wines can be made available for sale on the first of January in the fifth year following the harvest (sixth for Riserva). Only Bordeaux style bottles are permitted. Rosso’s rules call for maximum yields of nine tons per hectare, bottling must take place in the production area and the wines can be made available for sale on the first of September of the year following the vintage. Like big brother Brunello, Rosso can only be housed in Bordeaux style bottles. Moscadello’s yields climb to 10 tons per hectare for both natural and bubbly (five for Late Harvest) made from moscato bianco. The wines may be made available for sale on the first of January of the second year after the harvest, for the Late Harvest type. Sant’Antimo’s yields are set at nine tons per hectare for the Bianco and Rosso and eight for the other reds. 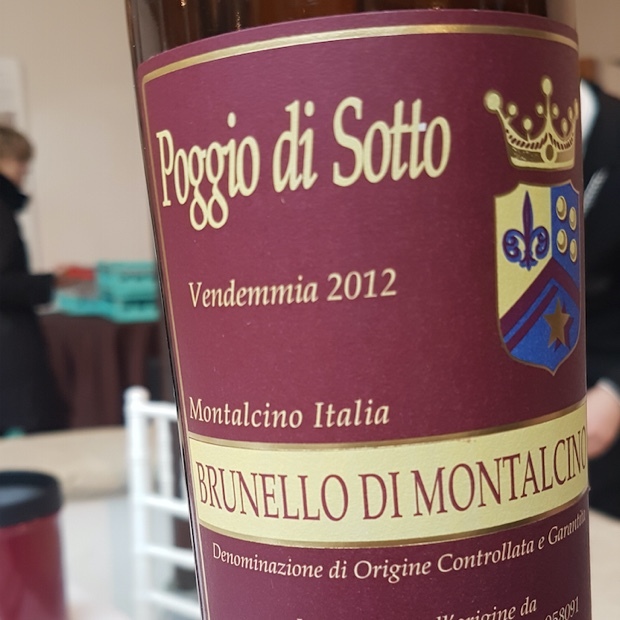 It can be produced from all grape varieties recommended and authorized in the province of Siena, with specific limitations for the types with a variety name and for the Vin Santo. Bottling must take place in the province of Siena. The Cooperative Cellars Biondi-Sant & Co are mentioned in the volume “Vini Tipici Senesi,” published by the chair of agronomy at the Università di Siena in 1933. 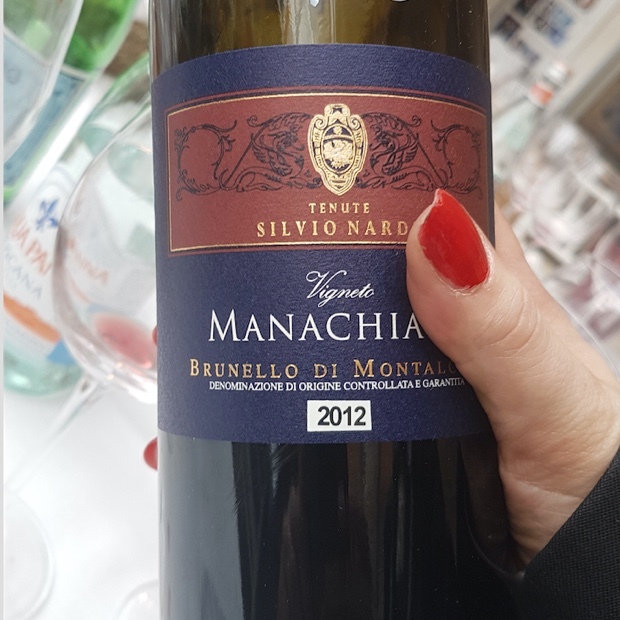 The cooperative winery Biondi Santi & Co. was established in Montalcino in 1926 by a group of enthusiastic land owners who were also wine producers. 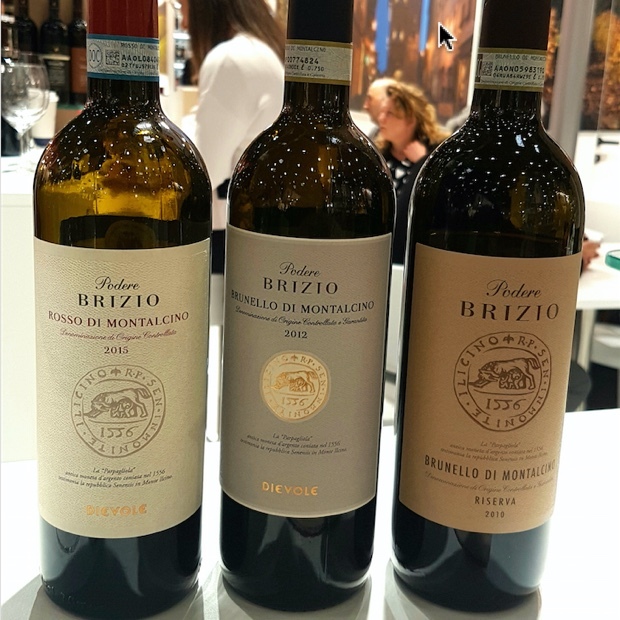 They understood the necessity and importance of promoting two of Tuscany’s classic wines, Brunello and Moscadello from Montalcino. The Brunello di Montalcino style did not emerge until the 1870s, soon after Il Risorgimento (the unification of the Italian regions into a single state). Its evolution was expressly due to the efforts of Ferruccio Biondi-Santi. A soldier in Garibaldi’s army, Biondi-Santi returned home from the campaigns to manage the Fattoria del Greppo estate belonging to his grandfather Clemente Santi. It was here that he developed some state-of-the-art winemaking techniques which would revolutionize wine production in Montalcino and greater Tuscany. 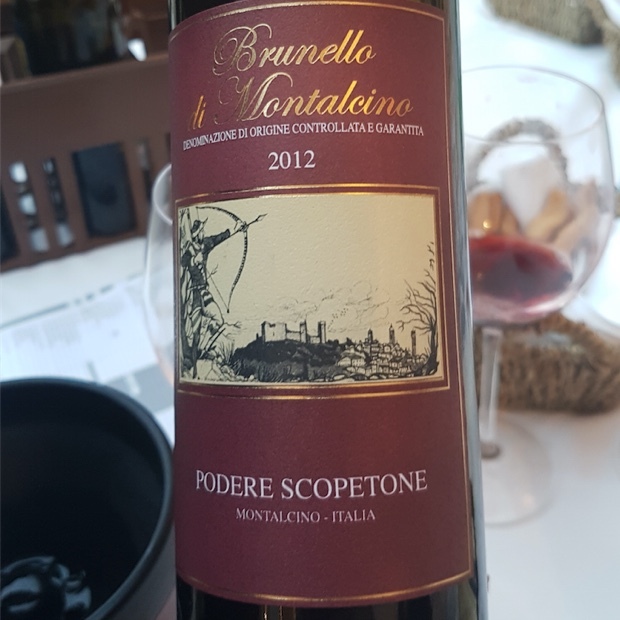 The word we know as Brunello translates loosely to “little dark one”, in reference to the local vernacular name for sangiovese grosso, “fat sangiovese,” the large-berried form of sangiovese which grows in the area. 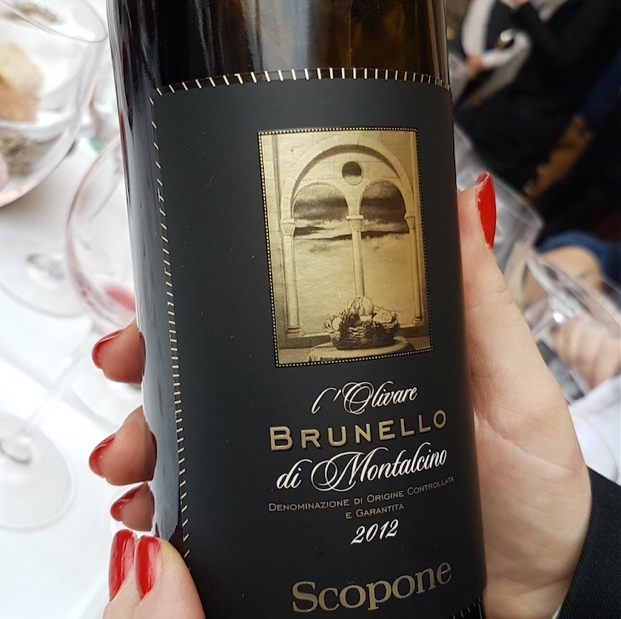 While Brunello di Montalcino and the clonal sangiovese grosso have been symbiotically synonymous for decades, in today’s modern Brunello lexicon it is simply sangiovese that speaks to the grape of the famous wines. 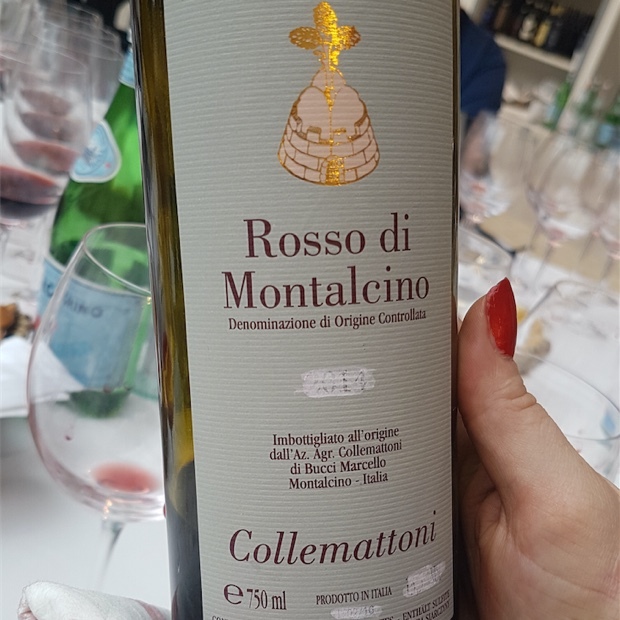 Montalcino’s reason for breathing, loving and living is to celebrate the wines of its immediate territory and the most noble locally-produced sangiovese has made the history of Brunello while the younger Rosso have taken up the challenge to become the protagonists of the new market. 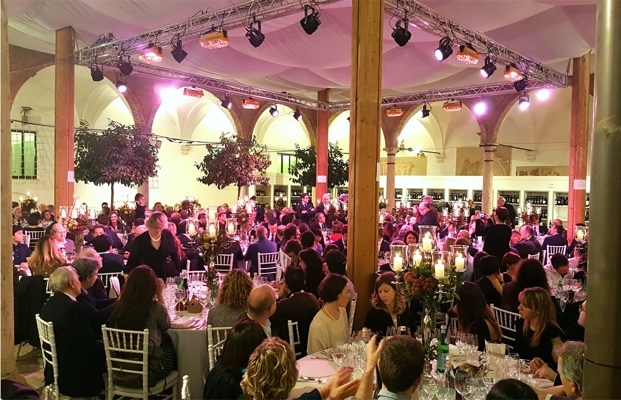 This report is due and with great thanks to the producers from Montalcino, Patrizio Cencioni, Chairman and President of The Consorzio del Vino Brunello di Montalcino and Vice Presidents Tommaso Cortonesi, Andrea Machetti and Riccardo Talenti. 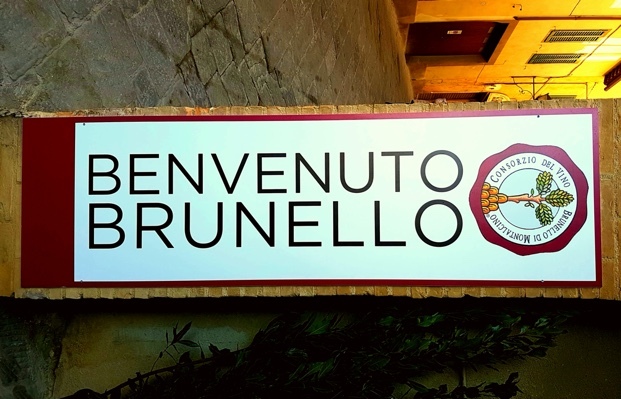 Benvenuto Brunello is the culminating visit for the larger, week long roadshow of Anteprime di Toscana and so thanks is also afforded to Regione Toscana, Tuscany Wine Consortiums, PromoFirenze and the entire Anteprime di Toscana team. My 88 reviews in total cover 22 Rosso Annata 2015 and 2014, 26 Brunello 2012, 34 Brunello Vigna 2012 and six earlier vintage Vigna and Riserva. 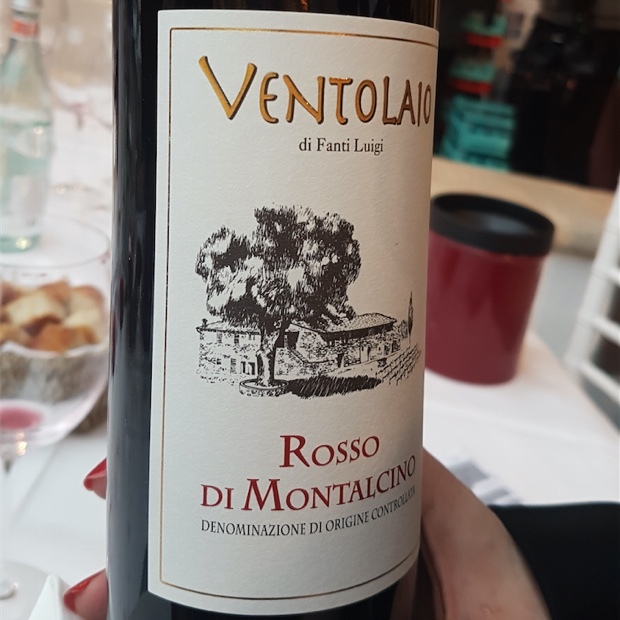 Relatively reserved as far as Rosso is concerned, with a darker berry, heavier clay and expressly extracted into juicy palate. Bigger expression that take full advantage of the generous vintage to be sure. Drink 2018-2022. 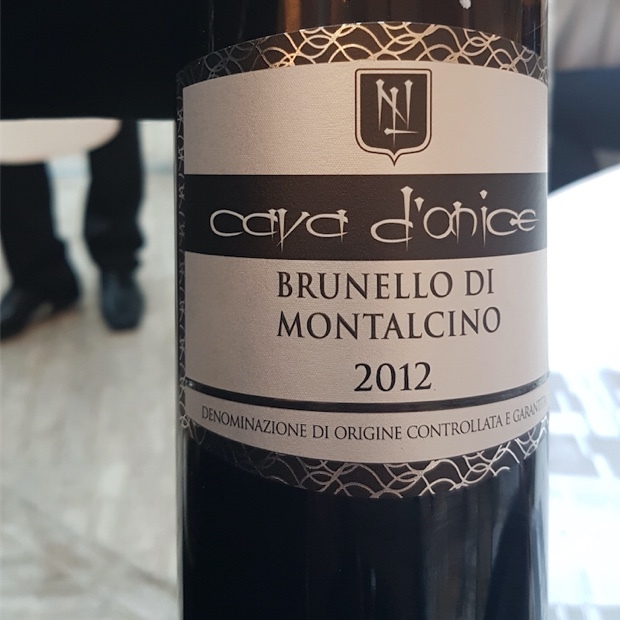 Tasted February 2017 #Fattoi @BrunelloImports #fattoi brunelloimports Lucia Fattoi Brunello Imports Inc. Depth and reserve make cause to wonder what will be though it is the combination of breaching ripeness and warmth that seem to dominate the internal, in the present moment’s discussion. Richness of fruit is undeniable, from red clay depths and the advancing severity of tannin make this a formidable and virtually irreproachable ’12. 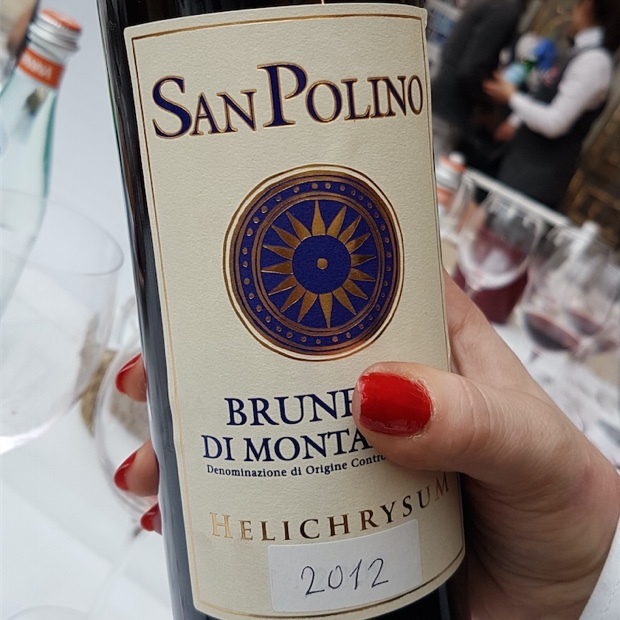 Five undisturbed years lay ahead for this Helichrysum sangiovese from San Polino and one should hope the fruit will outlast the bitter chocolate, grainy tannin and chalky sensibility. Probability, recent track record and a heavy hunch say this will work out just fine. Plain and simple, put this away. Drink 2021-2030. 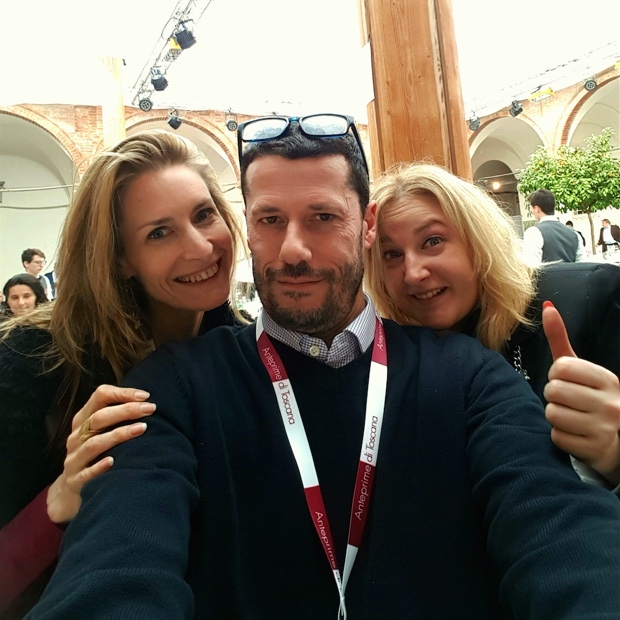 Tasted February 2017 @SanPolinoVino @TheLivingVine #sanpolino thelivingvine #SanPolinoBrunello The Living Vine inc. 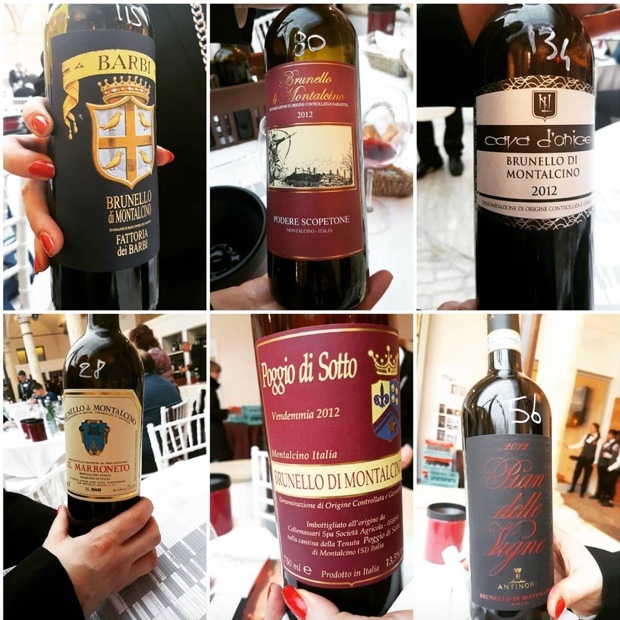 This entry was posted in Brunello Di Montalcino, Italy, LCBO, Rosso Di Montalcino, Tuscany, VINTAGES, VINTAGES Classics, VINTAGES Releases, WineAlign, Wines Tasted and tagged Altero, Antinori, Argiano, Assunto, Azienda Di Franci Franca, Bellaria, Bionsega, Camigliano, Campo Del Drago, Candace Maté, Cantina Leonardo Da Vinci, Capanna, Carillon, Castello Banfi, Castello Romitorio, Castelnuovo dell'Abate, Castiglion del Bosco, Cava d'Onice, Celestino Pecci, Ciliegio, Citille Di Sopra, Col D'orcia, Collemattoni, Colombaio, Cortonesi, Donatella Cinelli Colombini, Fattoi, Fattoria Dei Barbi, Fattoria La Màgia, Filo di Sesta, Fuligni, Gianni Brunelli, Giobi, Helichrysum, I Poggiarelli, Il Grappolo, Il Marroneto, Il Poggiolo, Il Poggione, L'Olivare, La Casa, La Fiorita, La Fornace, La Fortuna, La Leccaia, La Mannella, La Togata, La Togata Dei Togati, Lazzeretti, Le Chiuse Di Sotto, Le Ragnaie, Madonna delle Grazie, Mastrojanni, Maté, Mercatale, Mocali, Montosoli, Origini, P.56, Paesaggio Inatteso, Petroso, Pian delle Vigne, Podere Brizio, Poggio Al Carro, Poggio al Vento, Poggio Alle Mura, Poggio Antico, Poggio Cerrino, Poggio Di Sotto, Poggio Doria, Pomona, Prime Donne, Rodolfo Cosimi, San Polino, Sassocheto, Scopetone, Tassi Di Franci, Tenuta Buon Tempo, Tenute Silvio Nardi, Terra Rossa, Tiezzi, Tommaso Cortonesi, Valocchio, Ventolaio, Vigna del Fiore, Vigna Loreto, Vigna Poggio Ronconi, Vigna Soccorso, Vigna Manapetra, Vigneto Manachiara, Villa Poggio Salvi. ← How can i4c the future through cool chardonnay?